The Maruti Suzuki Indian National Autocross Championship has entered its final leg as the Grand Finale was kicked-off at the Buddh International Circuit on March 3, 2017. The national level Grand Finale came alive with the rumbling sounds of machines as humans battle it out. The Final Championship round will witness the 24 champions from southern India competing with 24 champions from northern India to become Indian National Autocross Champion. Champion will get a brand new Maruti Swift. The first day of the event will be dedicated to local round wherein the motorsports enthusiasts will actively participate to showcase their car racing talent. For Autocross, an enthusiast doesn’t really need to have a high end or a modified rally car brand. All they need is to have a car of any company, with or without modifications and most importantly the skill and willpower to perform on the track. The participants will drive over specially designed tracks. 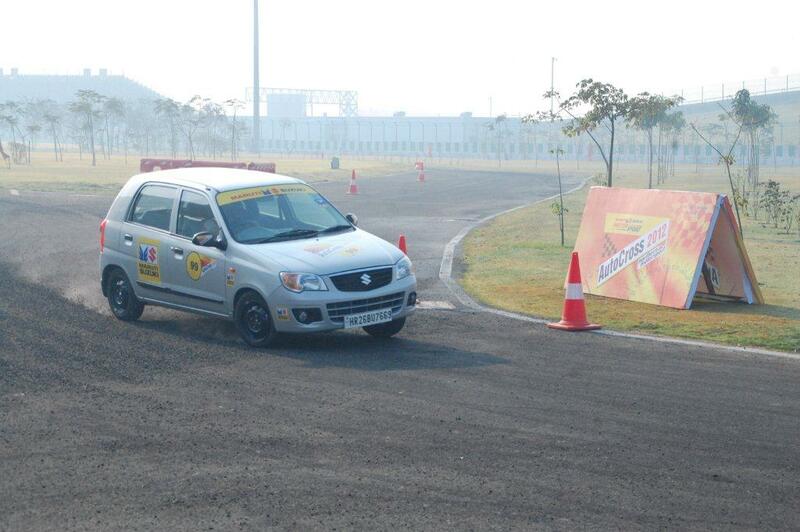 Autocross tests the drivers’ skills and vehicle handling rather than just the speed. The blend of tight and twisty turn in surface creates enthusiastic pumping experience for the motorsports enthusiast. Introduced in the year 2002, Autocross is the nation’s biggest small motorsports format where motorsport beginners are invited to test their skills and emerge as the winner of the coveted title.